Heart in Art Beginners Mosaic workshops run in the Brixton Pound shop café every Wednesday evening from 6.15pm – 8.15pm and are suitable for both adults and children. You can refine your artistic skills and learn how to cut using mosaic tools, space and stick your pieces to create something that will look beautiful on your fireplace at home! You don’t need any experience and all the materials are provided. Plus, you can get a major 25% off mosaic workshops with your South London Club card. This is a choir that is open to everyone with no need to audition and no experience required. They are a choir that is all about having fun and singing exciting songs. No need to worry that it will all be classical music, they perform well-known songs and are open to suggestions! You might think that singing isn’t for you, but Quaggy Community Choir are all about using song to bring people together, which we think is for everyone. With your South London Club card you can get the first session free and 20% off subsequent sessions, meaning you only have to pay £4. Everyone at some point has wished they knew another language, and we’re here to give you the opportunity to start. Languages 2000 operate at multiple venues around South London and offer French, Spanish, German, Italian and more! All abilities are welcome, whether you don’t know a word or you want to brush up on what you learnt at school. Unlike school, Susan, the founder of Languages 2000, is dedicated to practical knowledge and applications of the language as well as making it accessible to all. If you want an exciting approach to learning languages, this is for you! With your South London Club card, you can get £30 off a term of classes, so you can impress on your holiday next year without breaking the bank. Now this is one you didn’t see coming! AirCraft Circus are all about increasing the accessibility of Circus Arts and allowing people to flourish. Expect a wide variety of circus arts forms and to achieve more than you thought possible! They focus on enhancing fitness and physical ability so you can achieve your circus arts dreams. With 10% off 6 week adult classes with your South London Club card you’ll feel ready to jump right in and try this exciting discipline. If your jokes and stories have been performing well on a Friday night at the pub, why not take it a step further? The London Comedy Course is dedicated to polishing upcoming stand-up comics to performance standard. You don't need any prior experience and the classes are conducted in a dedicated theatre by experienced stand-up comics. Each course lasts 6 weeks and involves 18 classroom hours and 1 hour of one-to-one private tuition. If you're not convinced, with your South London Club card you can get a 3 hour taster session worth £45 for only £25. If you start now, you could be ready for Wimbledon 2018! Okay, not really. But even though summer is over, the sport of tennis doesn’t sleep. 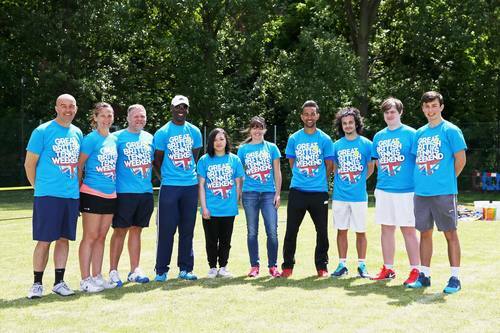 South East London Tennis are all about affordable, quality coaching that is accessible for all. The coaches have over 25 years tennis coaching experience so we can guarantee you’ll see some major improvements. Whether you want to use tennis as cardio or focus on a certain skill, tennis is a fantastic way to keep fit and learn new things. Who knows, it might even help with your ping pong skills next time you’re down the pub….maybe. With your South London Club card, you get your first lesson for free! Now the Great British Bake Off is back on our screens, we can hear you cry ‘How do they do it?’. Well, it’s time for you to find out. If you’re into sweet treats and all things baked Greenwich Pantry offer Baking and Decorating Cupcake classes, Pastry and Pie Making classes and Vegan Baking Classes. Or, if you feel you’ve mastered dessert and want to serve a killer main course, there are Sushi Classes, Bread Making Classes, International Cookery Classes and Vegan Cookery classes. You can also get 15% off cookery classes with your South London Club card, so impressing your friends with your delicious food can come cheap! Pasta is the perfect autumn comfort dish that pretty much anyone can make, but we think it is extra special when it is freshly made. Pastificio Mansi are dedicated to bringing the exciting, fresh pasta that all Italians grow up with to South London. Here you can learn to make the many shapes and styles of fresh pasta, until your pasta game is truly perfected. No more dry pasta and packet sauces for you. Unless you’re in a rush, in which case we will allow it. But after upgrading to fresh, you might not want to go back. Especially when you can get 10% off with your South London Club card. Bringing the exciting dance moves of Africa to South London, Kizomba Addiction is an exciting, energetic and diverse night out! Syed, the business owner, is here to show you the ropes of Kizomba, a romantic and passionate dance form. Students develop a strong foundation early on so they can progress to dancing with more experienced dancers. You can expect to dance smoothly and elegantly, with balance, musicality, movement and connection in every step. Don’t knock it until you try it, because we think you’ll love it. So much so, you can get 10% off entry with your South London Club card.